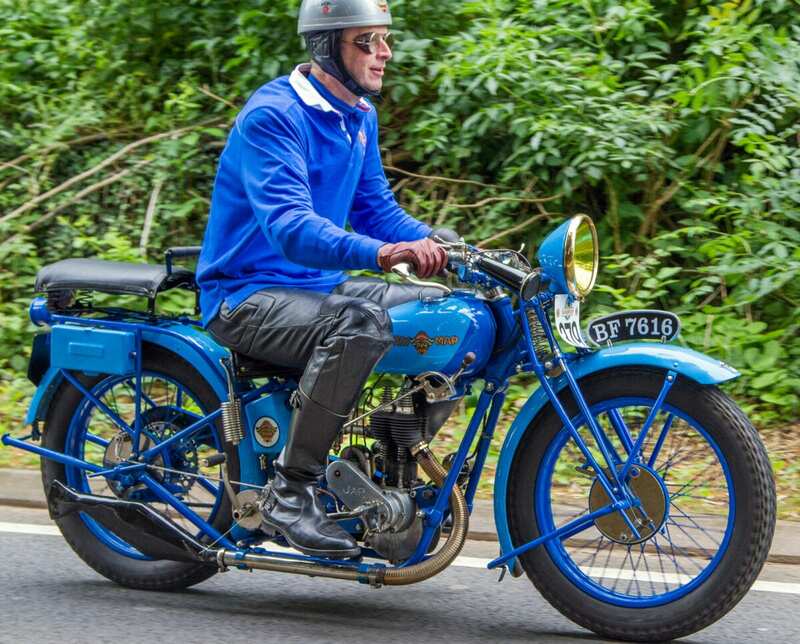 The New Map was made in 1929 and has a 250cc engine; whether its livery was as today when delivered to its first owner is not known. 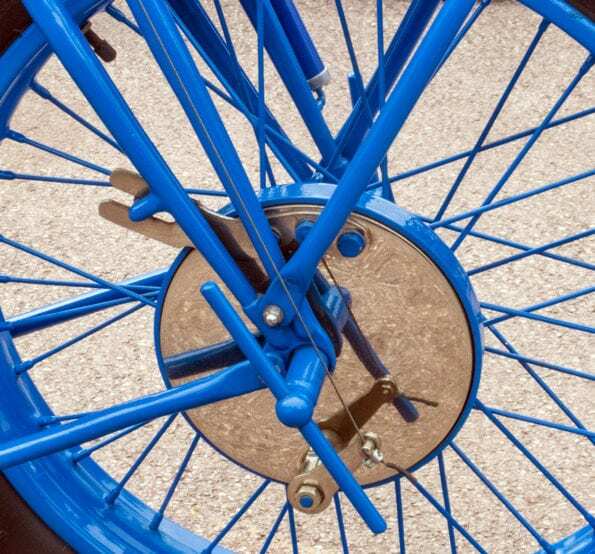 The company history began with Joseph Martin who started in the traditional way in 1898 manufacturing bicycles, but moved on to producing wheels for aircraft landing gear and cars during WWI. 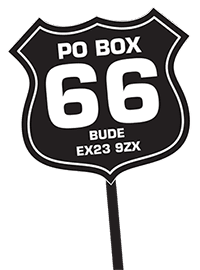 His son, Paul, had been an aircraft engineer during the war and decided to take the firm in another direction – motorcycles. 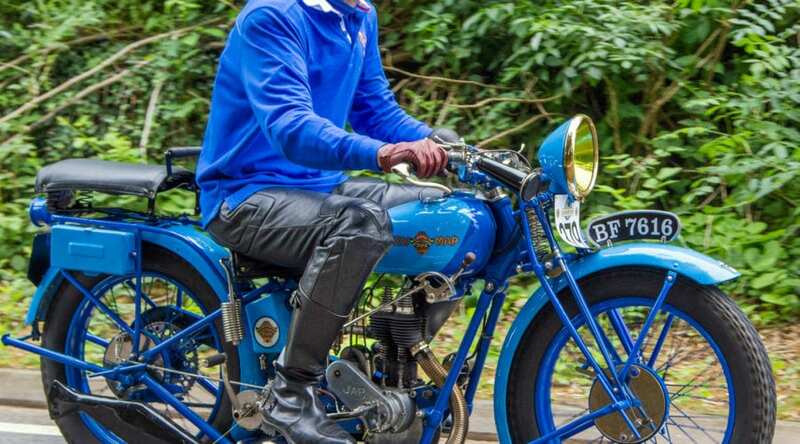 He chose the marque name as it had an English sound to it and also contained his initials, creating a decidedly French motorcycle that sounded British. 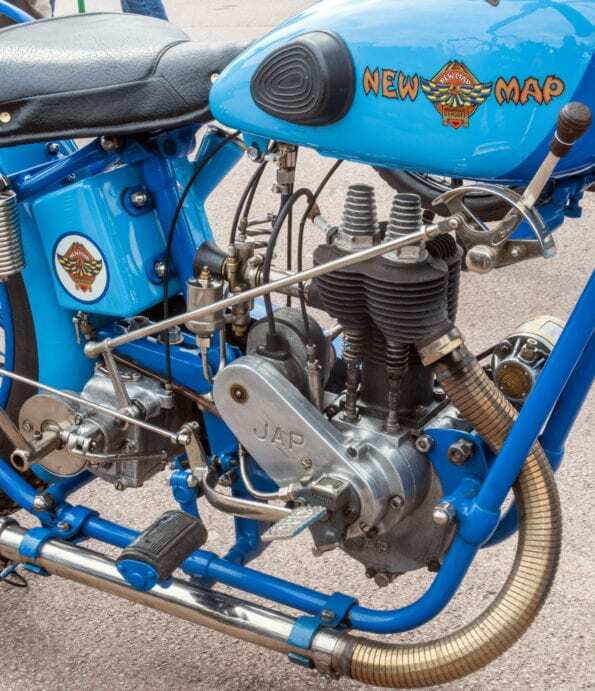 The first New Map machines – six in all with Mazoz, Anzani and LMP engines, ranging in size from a 175cc two-stroke to 500cc – appeared in 1926. At the following year’s Paris Salon there were no fewer than eleven models in the line-up with JAP now having joined the engine suppliers. The outsourced components were chosen on quality rather than cost criteria whilst the in-house parts had been under development at the factory for many years; as a consequence the resulting machines were said to be ‘very satisfactory’. 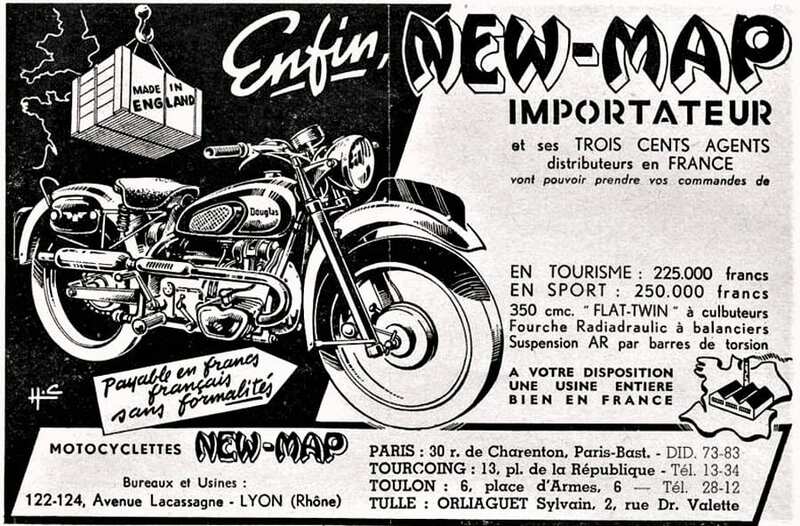 Until its disappearance in 1957, New Map went on to manufacture motorcycles with capacities from 98cc up to 600cc using, amongst others, Chaise, Blackburne, MAG, Sachs and Aubier & Dunne powerplants. 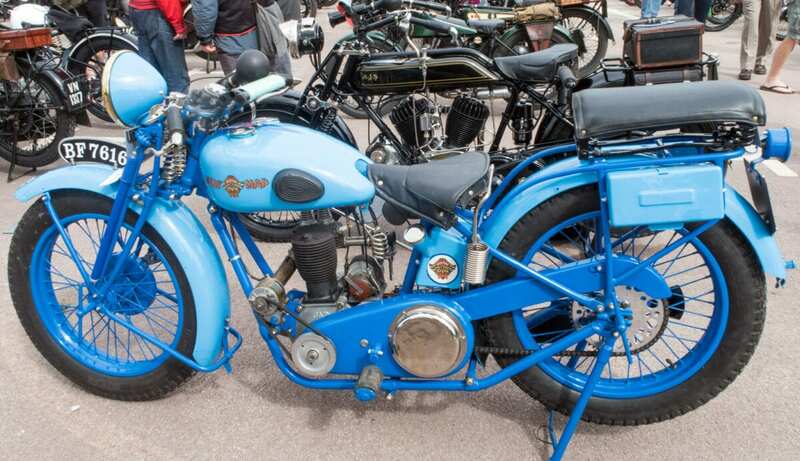 In later year, they also imported British bikes including horizontally-opposed Douglas twins from Bristol, as seen here. 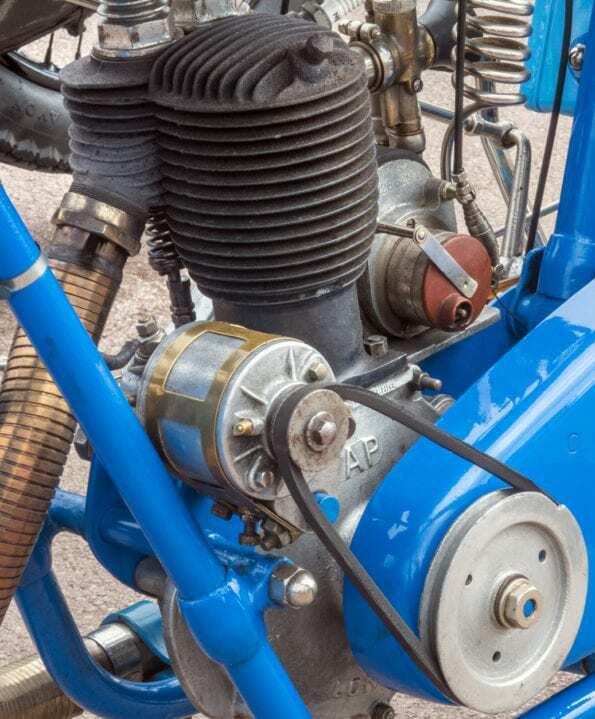 From what I can tell Richard’s 1929 machine would have been a MS 2T 250cc three-speeder, with that sidevalve JAP engine and a gearbox from MG Staub of Paris. 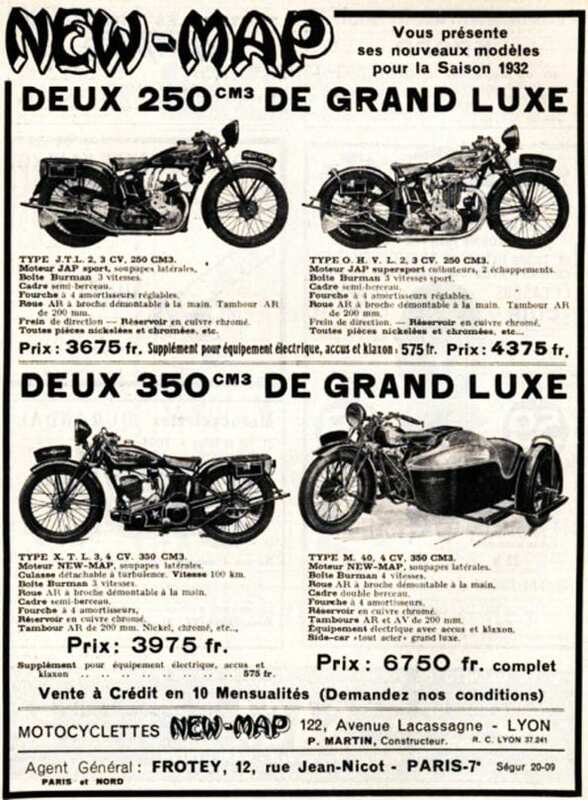 Another French manufacturer of the period, Styl’son of the Loire, used the same engine in their own 250 paired with a Burman gearbox… but their bike was rather more subdued in its traditional black livery. Unlike some machines of the era the brakes on the New Map – front and rear – are drums, and the whole presents a very attractive motorcycle, although that exposed belt drive may dismay some health and safety goblins. 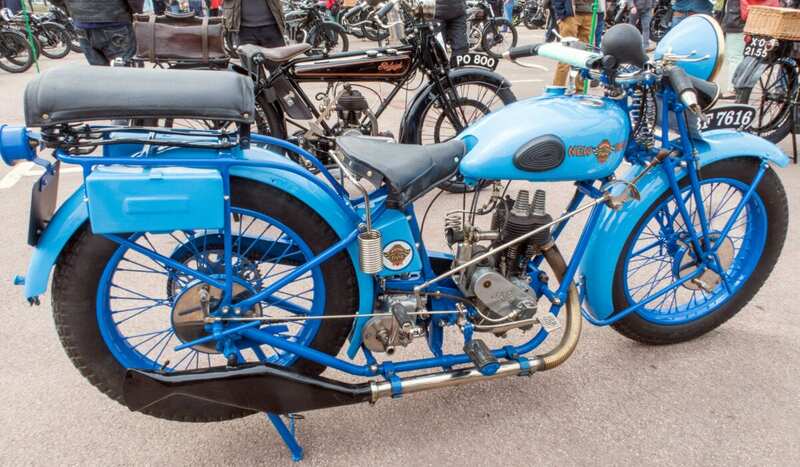 It’s the sort of machine that you could happily have in your garage… providing you like bleu. 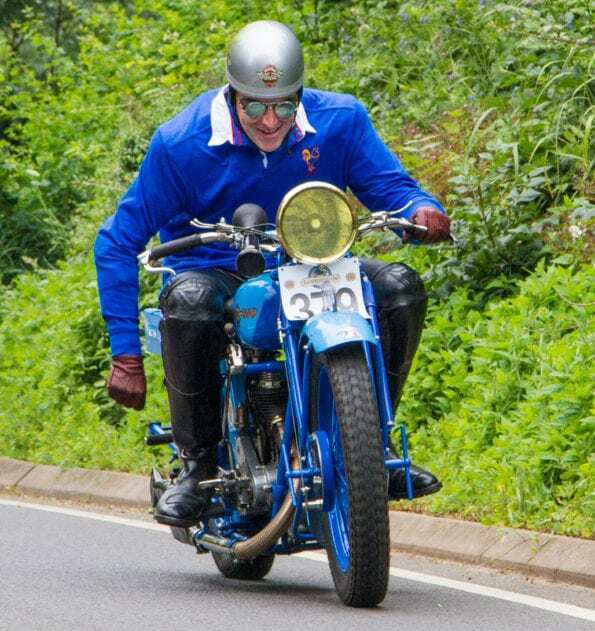 The annual Banbury Run is organised by the VMCC and gives 500 vintage and veteran machines, all manufactured before 1931, the opportunity to be unleashed upon a challenging route of rural roads around the British Motor Museum at Gaydon.